Fatherhood looks good on you, Paul! “With my little boy, Seve. Photo by mommy,” he wrote on his Instagram page. 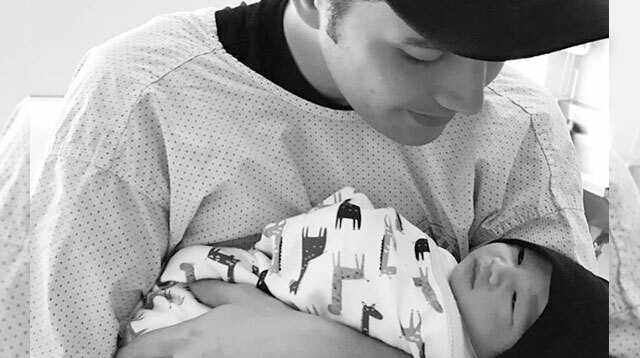 Paul and wife Toni Gonzaga welcomed their son on September 30, 2016. We also just discovered that the couple has set up an Instagram account for Baby Seve—we’re totally following it to spot more adorable photos of him! Fatherhood looks good on you, Paul! Congratulations to you and Toni!